An HR software basically a combination of systems and processes connecting human resource management and information technology of an organization. There are various tasks in human resource functioning in a company which is repetitive in nature. An hr software essentially through automated modules make the process simpler and as a result saves a lot of time in the day to day work for employees. The company management can use that saved man-hours in more quality work required for the organization. Keka is an employee experience platform. The software is tailor-made for customers. You will find features like HRMS, Payroll, loans and salary advances, employee portal (Self Service), leave management, employee tracking, task management, attendance management, polls, and announcements, etc. ADP India is a subsidiary of ADP Inc., the leading ‘Human Capital Management’ solution providers in the world. ADP India offers a wide range of Payroll Management System Software in India, statutory and HR solutions. It is the largest provider of HR Services, HR Payroll, HR Software on Cloud and Online Human Resource Information System (HRIS) in India. Visit ttps://www.adp.com/solutions/small-business/services/human-resources-management.aspx for more details. 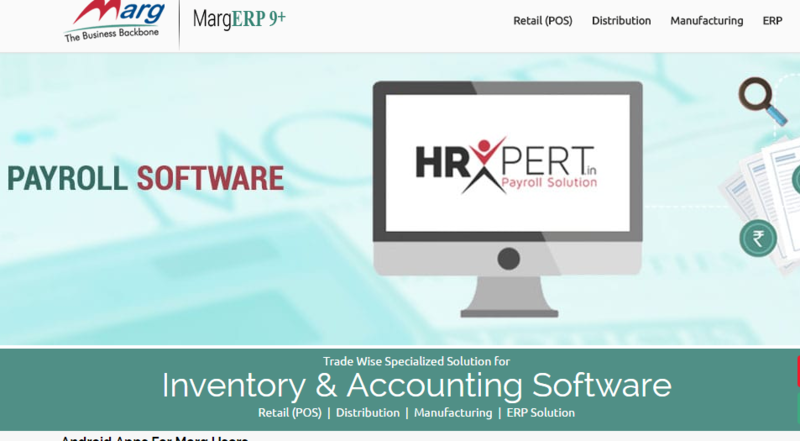 Marg HRXpert HR software is a product of Marg Compusoft Private Limited. It is a popular HR and Payroll management system for small-medium and enterprise business. The company has over 370+ Sales/Support centers all around in India. Visit http://margcompusoft.com/payroll_software.html for more details. GreyHR software is a product from Greytip Software. It is an end-to-end HR and payroll management system for businesses in India. Visit the official website of GreyHR for more details. Beehive HRMS software is a product of Beehive Software Services based in Vikroli, Mumbai. Beehive is a one stop solution for all your human resource management needs. It helps in managing end to end HR operations. Visit the official website of Beehive for more details. HRMTHREAD is easy end-to-end web-based HRM and Payroll management system for small-medium and enterprise business. HRM Thread engages itself in quality software development by implementing a comprehensive quality policy to deliver results on time and within budget. Visit the official website of HRMTHREAD for more details. HRMantra is one of the most popular HRMS software and best human resource software & payroll software in India. HRMantra is available both on-premise and on Cloud models. Visit the official website of HRMantra for more details. SutiHR was launched in 2009. It is a robust online HR software solution that provides powerful features to manage the complete HR cycle from recruitment to retirement. You can have a free trial of the software. Visit the official website of SutiHR for more details. PocketHCM is a product of Sage Software Solutions (P) Ltd. It is an End-to-End HR management solution with detailed modules to assist with key HR processes ranging from Hire to Retire. Pocket HCM is a leading cloud-based HCM Software with fully equipped offices and development centers across India. Visit the official website of PocketHCM for more details. Sum HR offers the complete HR solution & cloud-based HR software for business in India. Human resource information system is easy to use and setup. HRM software helps to cover the whole employee lifecycle including recruitment, expenses & Asset Management. Visit the official website of Sum HR for more details. Selecting the right HR software will depend on the exact requirement of your company. A proper hr software just fit for your company might make a huge difference in the future growth of the company. Hope, our list of top popular HR software will help you in the selection process.